In the first post in this series, I introduced the notion of a “usable past” and how it has strongly influenced the expanding conversation about Christian higher education in the last 30-40 years. Seeking models for this kind of higher learning that might guide Christian colleges in a secular (or post-secular) age, many writing on this subject have sought to recover past approaches from a variety of Christian traditions. Though not, for the most part, from the Pietist tradition. So a second question: Have American denominations rooted in Pietism founded their own colleges and universities, and have these institutions continued to be influenced by their Pietist origins? Answering the second question will take us into the remaining posts in this series. Answering the first gives us our topic for today. As context… It’s both easy and difficult to assess the contributions of Pietism to American Christianity. On the one hand, it can be argued that Pietism has been so pervasive among North American Christians and churches that—for better or worse—it can reasonably be called the continent’s “grassroots form of religion” (Roger Olson, The Story of Christian Theology, p. 491). Pietist devotional practices, hymns, hermeneutics, theological emphases, and approaches to missions and social action can be found in every Protestant denomination (and perhaps others). … I’ll embrace a middle position and define Pietism so as to include any movement within Christianity (a) whose own historiography acknowledges a significant debt to the German Pietists, and (b) that, like them, emphasizes the personal experience of conversion and regeneration, recenters Scripture over doctrine as the source of Christian authority, treats individual and small group devotional practices as essential elements of Christian life, and holds an expansive view of Christian freedom. I would also add that even the many quietistic Pietists believe that conversion leads to love for neighbor and, therefore, social concern: from A.H. Francke’s ministries of compassion and mercy to some Radical Pietists’ embrace of political activism. For a couple of reasons, I’m going to leave the Wesleyan tradition out of this summary except as it shows up later in the stories of certain Pietist denominations. As we discussed in the Pietist Impulse preview series, Pietism strongly influenced John Wesley, and there’s clear overlap between the two traditions. But there are simply so many denominations and colleges that fit the Wesleyan category, that even if Methodist-Wesleyan historiography was less fuzzy about the role of Pietism, I’d leave that tradition out of this post simply for the sake of clarity, time, and space. Likewise, I won’t address leading non-denominational evangelical schools like Wheaton College, though I’m sure that Pietism has influenced their development if only because it is one of the main sources for evangelicalism in general. Since we’ve already spent a lot of time on this blog looking at the intersection between Pietists and Anabaptists, let’s start with denominations possessing those dual origins before moving on to others rooted in Reformed, Lutheran, and Baptist Christianity. Church of the Brethren / The Brethren Church / Grace Brethren / etc. History: I covered this in an earlier post, but a quick recap: these denominations trace their histories back to the Schwarzenau Brethren, an early 18th century German sect of Radical Pietists influenced by Anabaptists. They emigrated to Pennsylvania in the early 18th century and spread to Virginia, Ohio, Indiana, and beyond. 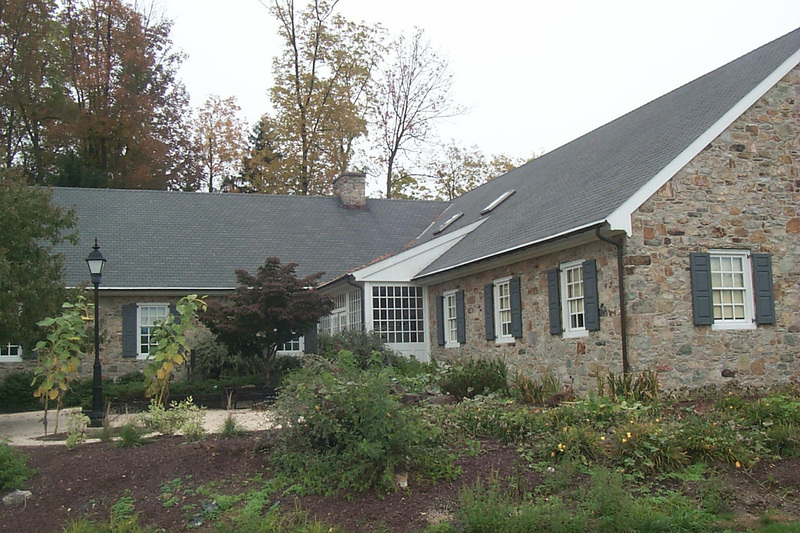 These Brethren (sometimes known as “Dunkers”) experienced schisms from the very beginning (e.g., the Ephrata Cloister split off soon after the emigration to America), but the big one came in 1881-1882: “old order” Brethren formed what became the current Church of the Brethren (COB); “progressives” formed the Brethren Church. There have been more splits in the 20th century; one within the latter denomination produced the Fellowship of Grace Brethren Churches. Colleges and Universities: While the Brethren progressives’ desire to found an institution of higher learning to train pastors and missionaries was a major cause of the split, the conservatives soon followed suit and founded their own schools. History: These are two separate groups with some interesting parallels in their histories. They began in nearly the same place and time and had similar origin stories (and names). Inverting the experience of the aforementioned Brethren, both groups began as Anabaptist in identity and then experienced Pietist renewal (and later the influence of Wesleyanism). A Mennonite preacher in Lancaster, Pennsylvania named Martin Boehm came under the influence of Pietism through a 1767 revival and began a partnership with a similarly-influenced Reformed pastor named Philip William Otterbein. Members of the “Boehm-Otterbein” movement became known as the United Brethren in Christ (UB). The UB split in the late 1880s, with the smaller, more conservative group (led by the Wright Brothers’ father) founding what’s now the Church of the United Brethren in Christ, USA (UBC). The larger, more liberal group of United Brethren (which had long had ties to Wesleyanism — Boehm became a Methodist pastor after being excommunicated by the Mennonites) eventually became part of the 1968 merger that produced the United Methodist Church. 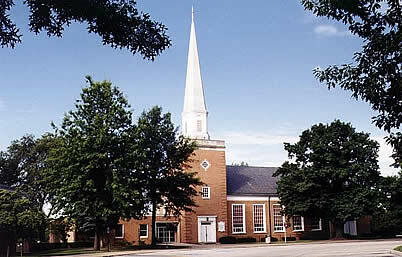 The Brethren in Christ (BIC) began as an Anabaptist group near Marietta, Pennsylvania. (They were also known as the “River Brethren” because they mostly lived near the Susquehanna River.) They broke with the Mennonites after a Pietist revival in the 1770s and 1780s; although some had ties to Boehm, they split from him over baptism. Later in the 19th century Wesleyan-Holiness influence gave the BIC its distinctive hybrid identity (to which one can add the influence of mainstream neo-evangelicalism in the 20th century). Colleges and Universities: Most of these are now affiliated with the United Methodists (identified below as “UB/UMC”), though with varying degrees of explicit Christian identity and mission. History: In 1860 a group within the German-speaking Mennonite colonies in southern Russia decided to form their own brotherhood, hence “Mennonite Brethren” (MB). While there is great debate among subsequent MB historians as to the sources of this break and how radical was its rupture with the larger Mennonite tradition, one of the most important founding influences came from German Pietists (though Baptists and evangelical revivalists were also present) and their emphases on conversion and regeneration. In the face of persecution first from the tsars in the 1870s and then from the new Soviet state, most Mennonite Brethren joined the larger Russian Mennonite migration to North America. Colleges and Universities: There are also two MB Bible colleges in Canada, and another merged with other Anabaptist schools to become Canadian Mennonite University. History: With roots going back to the Hussite movement in Prague, the Moravian Church (and its greatest educational theorist, Johannes Amos Comenius) actually predates Pietism. However, the key figure in the revival of the “Moravians” was Nicolaus von Zinzendorf, a German Pietist who gave refuge to some Moravians (reduced during the Reformation Era to a small sect known as the Unitas Fratrum — yet another “Brethren” to keep straight!). 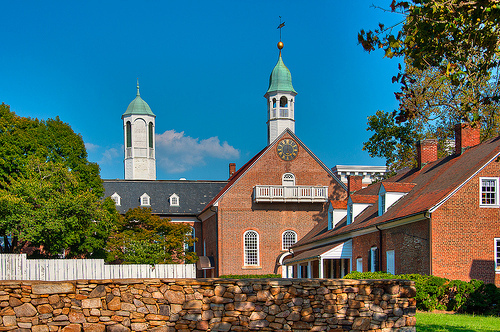 The Moravians founded a new community known as Herrnhut and accepted Zinzendorf as their leader; as we’ve noted elsewhere on this blog, Herrnhut Pietism emerged as a rival to that of Halle. Zinzendorf himself helped organize Moravian emigration to Pennsylvania in the 1740s. History: Several non-Anabaptist German immigrant churches were also rooted in Pietism. The Evangelical Association (later, Evangelical Church) also emerged out of revivalistic Pietism in the late 18th century (with ties to the United Brethren and Methodists); in the 20th century it merged with the UB en route to joining the United Methodist Church. The Evangelical Synod of North America was founded in 1840 by pietistic immigrants who had belonged to the “Prussian Union” church, formed in 1817 by a state-mandated merger of Lutheran and Reformed Protestants. It later became part of the Evangelical & Reformed Church, which then merged with the Congregationalists in 1957 to found the United Church of Christ. Around the same time, German Baptist immigrants (confusingly, the Schwarzenau Brethren were also known as the “German Baptist Brethren” in the 19th century) founded churches in North America, under the leadership of Pietist pastors like August Rauschenbusch (Walter’s father, and one of the featured figures in the most recent installment of our Pietist Impulse preview series). During World War II, this Baptist group became the North American Baptist Conference (NABC). Colleges and Universities: Albright College (Reading, PA; 1856) began as the seminary of the Evangelical Association and is now affiliated with the United Methodists. 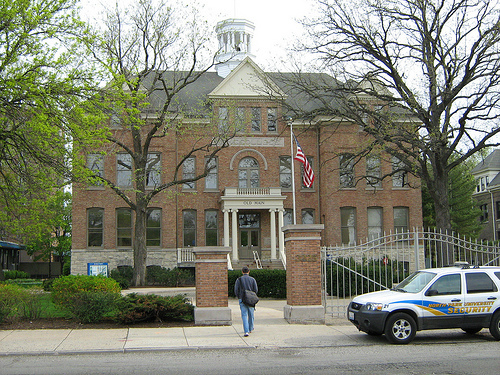 The ESNA founded one college that has survived to the present day, as a UCC affiliate: Elmhurst College (Elmhurst, IL; 1871). The only college affiliated with the NABC (Taylor University College in Edmonton, AB) recently closed. Hauge Synod, Lutheran Free Church, and the Church of the Lutheran Brethren: Several Norwegian-American Lutheran groups were founded in the Midwest in the mid-19th century, many influenced by Haugean and other kinds of Pietism. The Hauge Synod remained separate until 1917. Others came together in 1890 in the United Norwegian Lutheran Church (UNLC), which itself split in 1897 when pietistic supporters of Augsburg College (opposed by backers of St. Olaf College) founded the Lutheran Free Church (LFC). Both the UNLC and (most churches of the) LFC eventually joined the American Lutheran Church in the 1960s, which itself merged into the Evangelical Lutheran Church in America (ELCA). One Scandinavian Lutheran group that remains independent of the ELCA is the Church of the Lutheran Brethren, founded in 1900 by five UNLC congregations shaped by a pietistic awakening. Augustana Lutheran Church, Evangelical Covenant Church, and Evangelical Free Church: Pietism also had its advocates in the Augustana Lutheran Church, a largely Swedish-American group that eventually found its way into the ELCA, but the Pietist influence was much stronger among those Swedish Lutheran immigrants known as “Mission Friends,” who decided not to merge with Augustana and instead constituted a new denomination in 1885, what’s now the Evangelical Covenant Church (ECC). In turn, a group of “Free” Mission Friends influenced by Dwight Moody’s revivalism and premillennialism and suspicious of denominational structures declined to join the new Covenant and later formed their own loose confederation of independent congregations. This group merged with a similar Norwegian-Danish group in 1950, forming today’s Evangelical Free Church in America (EFCA). Colleges and Universities: Neither the Hauge Synod nor the Lutheran Brethren founded schools that became four-year colleges or universities, though the CLB operates a seminary in Fergus Falls, MN and a Haugean seminary joined with others to form what’s now Luther Seminary in St. Paul. For the sake of not overreaching in trying to identify schools with clearly Pietist roots, I’ll leave off the many colleges founded by the Augustana Lutherans, though one could make a strong argument to include at least some of them (e.g., Augustana College in Rock Island, IL, which has historic connections with the Evangelical Covenant school listed below). Devin Manzullo-Thomas’ post the other day on historian Paul Boyer reminded me that I missed at least one school: Upland College, now closed but founded by the Brethren in Christ. (Boyer attended Upland.) For more, see Devin’s earlier post on that college: http://devincthomas.wordpress.com/2010/03/08/upland-college-revisited. For the Boyer post, see http://devincthomas.wordpress.com/2011/08/24/shaping-life-and-work-paul-s-boyer-and-the-brethren-in-christ-church.